Simplex Time Clock Black Ink Ribbon. 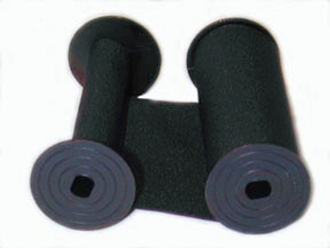 Plastic spools, Black cotton ribbon, 2" wide, 72" long. Fits SimplexGrinnell 1605 Series.